Univision’s English-language Liga MX broadcasting, explained. This week, Univision unveiled its plans to do something that had been teased for years–broadcast Liga MX matches in English. The company, in a communications statement out of its New York City headquarters, unveiled its plans to stream 46 Liga MX games in English on Facebook’s streaming-networ platform, including those in the Liguilla in 2017. The move could take Liga MX games on Univision’s networks, which already out-perform most nationally-televised games from the Premier League, UEFA Champions League, La Liga, Bundesliga, MLS, National Hockey League (NHL), and NCAA in the Nielsen ratings, and cement its dominance among the United States’ sports and soccer audiences. So how many Liga MX games can I expect to see on the stream? Starting with Saturday, February 18th’s Clasico Nacional, Univision stated that forty-six games, including playoff games, will be streamed on Facebook Live in 2017. The terms of the deal does not clarify whether these were 46 games during the Clausura or the entirety of 2017, which is what the language of the PR communication from Univision noted. From Friday until the end of the Clausura, there are a total of 99 regular season matches in Liga MX to be played and 14 matches during the Clausura 2017 Liguilla. There are also 167 Liga MX to be played in Apertura 2017, including the Liguilla. In total, if Univision had every Liga MX match on its networks, only 46 of the 280 Liga MX matches scheduled to take place between February 17 and December 31, 2017. If you like ratios, a little over 1 out of every 7 matches in total would appear on this English language stream. But Univision and its family of networks–UniMas, UDN, Galavision, Univision, UDN 2–don’t have the rights to every Liga MX game shown in the U.S., unlike what NBCUniversal has for Premier League games, NewsCorp (Fox) has for Bundesliga, Copa Libertadores, Copa Sudamericana, UEFA Champions League, UEFA Europa League games, and BeIN Sports has for La Liga, Serie A, Ligue 1, and the English Football League. Rather, each game is shown on the network (or family of networks) that has the rights to show the home team’s games in the United States. In the United States for now, Univision’s family of networks has the rights in the U.S. to the home games of every Liga MX team except for Atlas, Tijuana, Veracruz (all with Azteca America), and Pachuca (NBC Universo). Of the fourteen teams Univision has the transmission rights for, only two (Necaxa and Chiapas) have secondary television deals with another network to show their live games (both are with ESPN / ESPN Deportes). This posits forward a claim about Univision having rights to 17 of the 18 teams in the league leaves some information on U.S. TV rights deals that up to four teams have not revealed. But ultimately, however the television arithmetic is done, only select games are going to be covered in English on the stream for now. Is showing Mexican soccer games in English anything new? No, even for Univision. Univision has televised Liga MX games in English, however these games have usually been a game in La Gran Final, one-off affairs, and usually accessed through either SAP on that matchday, or on UDN or both. And in 2014-2016, Univision had partnered up with start-up Netherlands-based streaming platform NGSN to provide English-language commentary for select Liga MX games, similar to those in the contract. NGSN not only offered English language coverage of Univision’s select Liga MX games, but they also offered all the games from many other top flights–in Russia, Netherlands, Chile, Argentina, Ecuador, Bolivia, Japan, and South Korea, as well as the short season Indian Super League and Coppa Italia–in English and Spanish. However, that platform shut down its service in early 2016. And other networks had transmitted Liga MX games in English before, including Fox Soccer Channel from 2005 to 2007, and ESPN in 2013-14. But neither had come with much pre-match buildup, and did not perform all that well in terms of ratings. However, most significant Mexico matches are televised in English, including its World Cup qualifying, World Cup, Gold Cup, Confederations Cup, and Copa America games, as well as its Under-20 games. These games are carried on Fox’s family of networks as well as BeIN Sports and CONCACAF’s Facebook live streams. However, the platform that Univision is using to transmit Liga MX games in English is new, with regards to showing Liga MX games,. And Facebook is a platform that has been used by CONCACAF this season to stream its CONCACAF Champions League games as well as various CONCACAF qualifying tournaments, including those in futsal and for the U-20 World Cup qualifying tournament starting on Friday, February 17. CONCACAF will also be live-streaming the entirety of the 2017 Gold Cup on the social media platform. Mexican footy fans have seen football in English on TV without NGSN or ESPN. Ascenso MX, Mexico’s second division, has been continuously shown in English on Miami-based GolTV since 2011, with the network showing up to two matches each round. Why stream games in English? And why on Facebook? While Spanish-language content has earned Liga MX viewership in not only the United States, but also most of Central America and South America, where Spanish is the official language (or a close cousin of the official language), it doesn’t contain that many people. English also has become lingua franca in most of the world with an estimated 700 million people in many parts of the world, including outside of the Americas, speaking it at least as a second language. And English-language commentary is easier to package internationally across lands with many different official languages and doesn’t require networks acquiring the rights to provide their own native commentary. All they have to do is put their own network badges on the content and translations in text, if they feel lie they need them. The global outreach of competitors like MLS, and previous globally-oriented platforms like Futbol Para Todos (which discontinued in 2017, but wasn’t offered in English) for Argentine Primera Division games, in addition to (other known) top-flight leagues like the Bundesliga, Premier League, Serie A, Ligue 1, Primeira Liga, Brasileirao, and the Chinese Super League and J1-League, may undercut money that Mexican teams may need in order to sign the players they want. Given the state of the Mexican peso, revenue from games in English that the FMF could get abroad may also allow teams to compete better on the transfer market for better players. But it could also simply be reaching a Latino audience (primarily of Mexican roots) of which immigrants are a much smaller share. This has been a cause for concern for Univision as its networks’ overall ratings (for non-sports content) have seen significant declines, per a recent report in the Los Angeles Times. Given declining cable subscriptions, Facebook is, by far, the largest social media platform in terms of membership with an estimated 1.86 billion users worldwide (versus 600 million Instagram users, 310 million active Twitter users, and 300 million active Snapchat users worldwide), with a Pew estimate of 79% of all adults in the United States as having an active Facebook account. 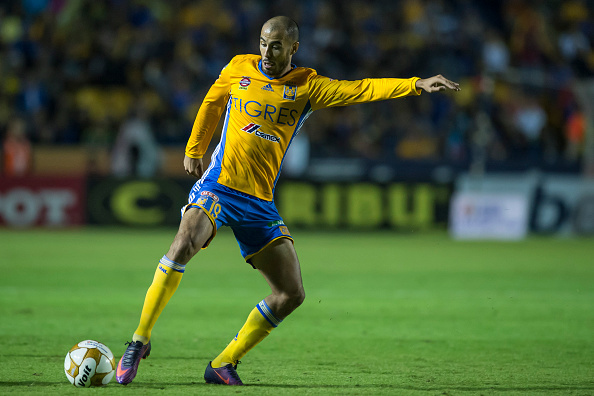 And so, streaming games on Facebook might allow Liga MX teams to reach not only the American audiences that it had been missing, but also be shown in nations where Liga MX is not shown on television. Who will be commentating the matches? For Saturday, February 18th’s Clasico Nacional, Ramses Sandoval and FDP radio’s Nicolas Cantor are handling the English-language commentary. Sandoval has done English-language commentary on Univision’s MLS games and sideline reporting during the network’s USA men’s national team games. Nicolas Cantor, the son of NBC’s legendary Spanish-language commentator Andres Cantor, makes his Univision Deportes debut. Cantor often does radio commentary on FDP Radio besides his father, who started the network. However, other Univision Deportes commentators and presenters have either done some work in English while with the network or they are functionally bilingual–these include and are not limited to Ivan Kasanzew, Marcelo Balboa, Jose Luis Lopez Salido, and Luis Omar Tapia. Enrique Bermudez has taken on an English-language catchphrase sign-off after his Liga MX matches. When will this English-language commentary start? Saturday, February 18, with El Clasico Nacional between Chivas and America, kicking off at 10:00 PM EST.